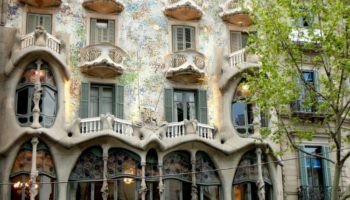 The capital and largest city of Catalonia, Barcelona is one of the most popular destinations in Spain. 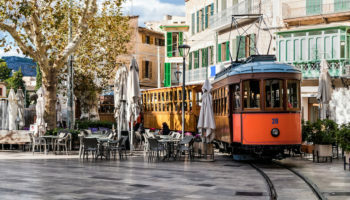 This beautiful city is full of what European cities are known for while the city’s beaches provide sun and relaxation during the long periods of agreeably warm weather. 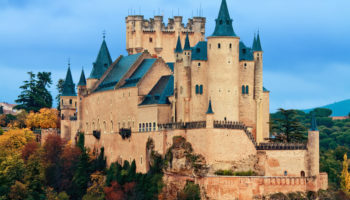 It is possible, however, to see more of this general area of Spain with a few day trips from Barcelona. Trains and tours take visitors to all of these locations. These suggestions may add interest to an already wonderful trip. The only way to reach this valley in the Pyrenees is by the Rack Railway from the south or on foot from the north; some might really do this. This all-in-one-place ski resort, sanctuary and reservoir sit in a stunningly beautiful valley that make photographers swoon. The ski resort has 10 runs from beginner green to God-help-us black and 73 snow cannons. The gondola lift provides access to the youth hostel, and there are two platter lifts for the beginners’ area and a quad chair up to the highest point at 2252 meters. Rowing, hiking, horseback riding and gawking in amazement are available in summer. Tourists can do just about everything worth doing in this city of nearly 100,000. 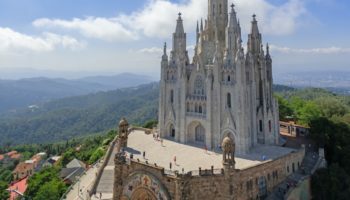 The Pyrenees are in view from town, and the Costa Brava is about 32 km (20 miles) to the east with brochure-worthy beaches. The historical preservation is excellent, and visitors to these sites will not be disappointed. The Roman wall built in the first century BC was rebuilt in the mid-1300s on the foundation of the original structure. Visitors can still climb the old towers. 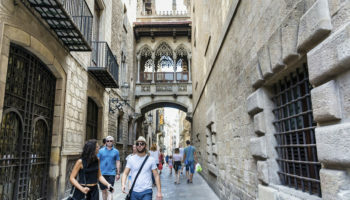 The Cathedral and the 14th century Gothic church also provide historical interest as does the old Jewish Quarter, El Call, having survived the expulsion of the Jews from Spain a few centuries ago. Girona is located an hour to the north by train, making it an easy day trip from Barcelona. Andorra la Vella, or “Andorra the City,” sits in a beautiful valley high in the Pyrenees between France and Spain. Officially recognized as the capital of Andorra in 1287, the settlement existed long before the Christian era. 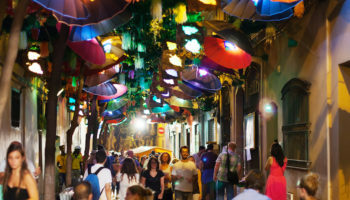 About 33% of the residents are Catalan, the largest group of the population. Tax havens have drawn many businesses and banks to this city which has the euro. About 14 million tourists visit annually to take advantage of shopping deals. Visitors arrive by shuttle bus from Barcelona because railways cannot reach the city in its mountainous terrain. This seaside city of over 134,000, about 80 km (50 miles) south of Barcelona, is a gold mine of Roman ruins that includes an amphitheater from the second century. Latin and Phoenician inscriptions label the stones of houses throughout the city. City walls are from ancient times, and an old palace of Augustus, now called the house of Pilate, is still standing along with the Forum and the Tower of the Scipios. The tower may be a tomb but there is no proof. The 12th century Cathedral and several other churches are of interest, and the town hall is the former convent of the Dominicans. The local seafood dishes are well worth a taste. Tarragona’s central station is on the main train line between Barcelona and Alicante, served by ‘Euromed’ and ‘Alaris’ trains. This resort town, about 20 miles south of Barcelona, has 17 sandy beaches with 11 of them in town. Sitges is a progressive, town known for its counterculture trends even in the era of Franco. Sitges has remained a major tourist resort since the 1970s. 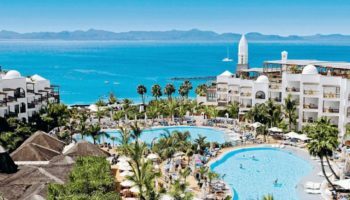 It seems to be made for partying, having plenty of nightspots and a great number of hotels, half rated four-star. 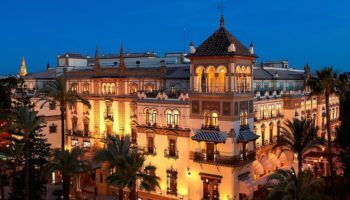 Dining can’t help but be delicious on the seacoast, and Sitges has its own sweet wine liquor called Malvasia, made from local vineyards. 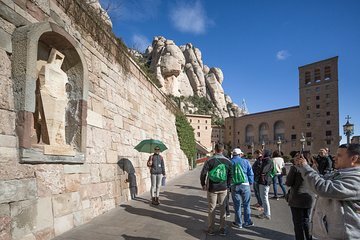 The “serrated mountain,” or Montserrat, is the home of the Benedictine abbey, Santa Maria de Montserrat. This is also the location of the shrine to the “black virgin” and a publishing house with a press that has operated since 1499. The boys’ choir in the abbey performs Gregorian chants and is one of the oldest boys’ choirs in Europe. Take the Funicular up Sant Jeroni, the highest point of Montserrat, and look out over Catalonia. Many like to hike the peaks as well, but the cable cars may be a bit daunting. 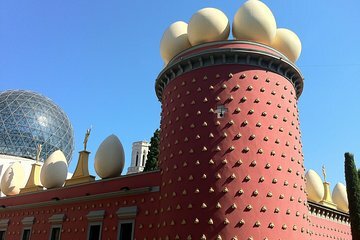 Figueres, home of Salvador Dali, is the site of his museum established on the ruins of the town’s theater that was destroyed in the Spanish Civil War. The museum’s quirky design is a reflection of Dali’s iconic style, and many of the pieces are from his personal collection. 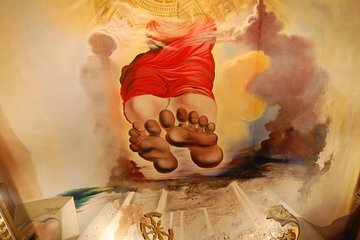 Dali is buried in a crypt in the basement of the theater, ever-present, which seems like the kind of thing he might arrange just to be amusing. 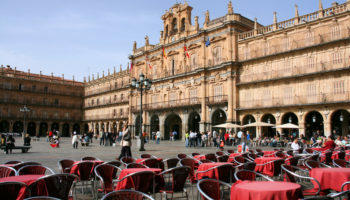 The museum also contains works by El Greco and Marcel Duchamp. The high-speed AVE train goes from Barcelona to Figueres in under an hour, a real convenience. going on a trAnsatlantic cruise, ending at Barcelona which we have stayed many times before. We will be there from 4/22 leaving 4/27 early and would be interested in some day trips outside of Barcelona . Any suggestions are appreciated.